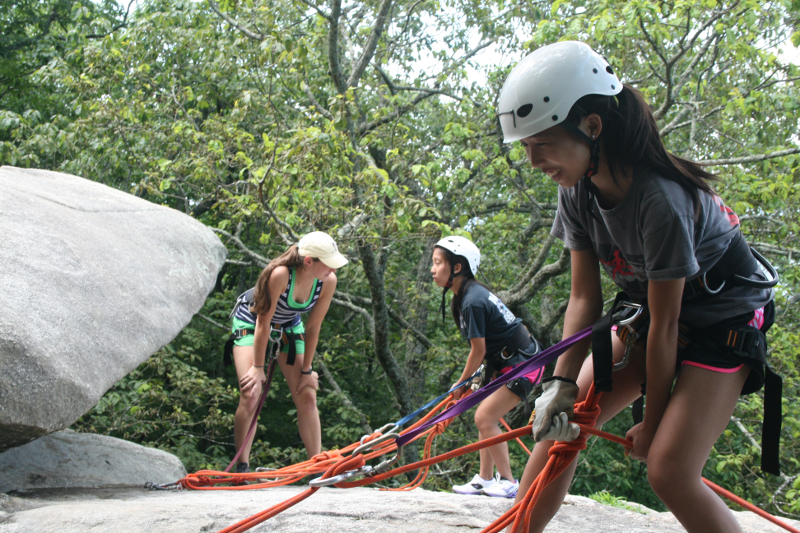 Rock climbing and rappelling safely require teamwork and communication. 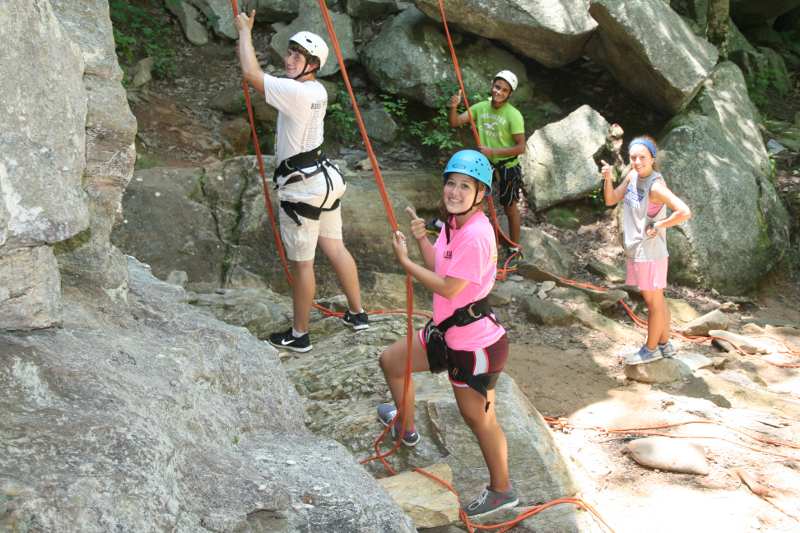 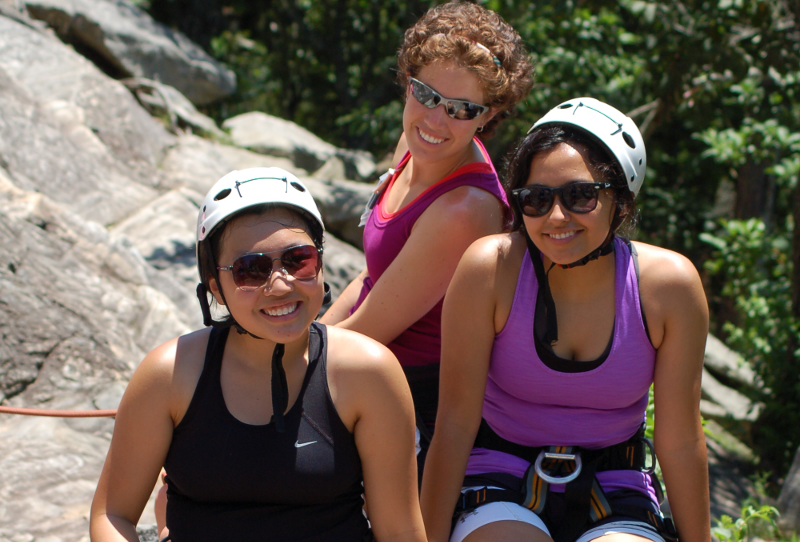 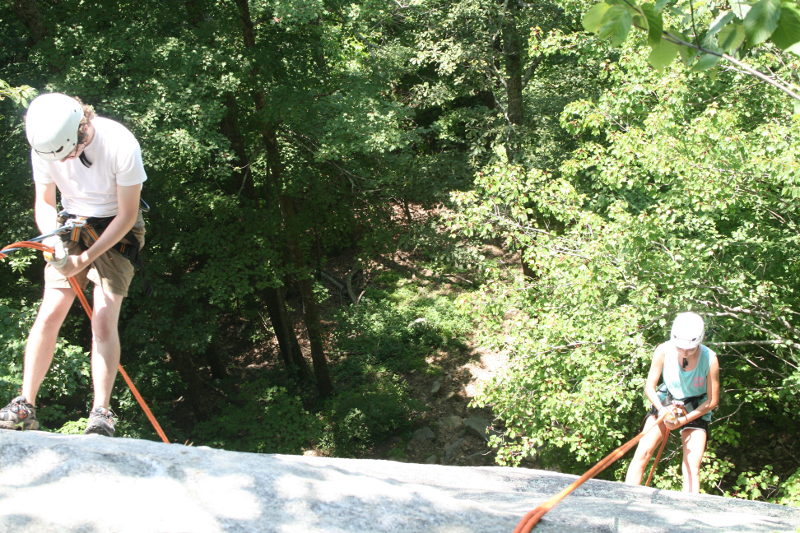 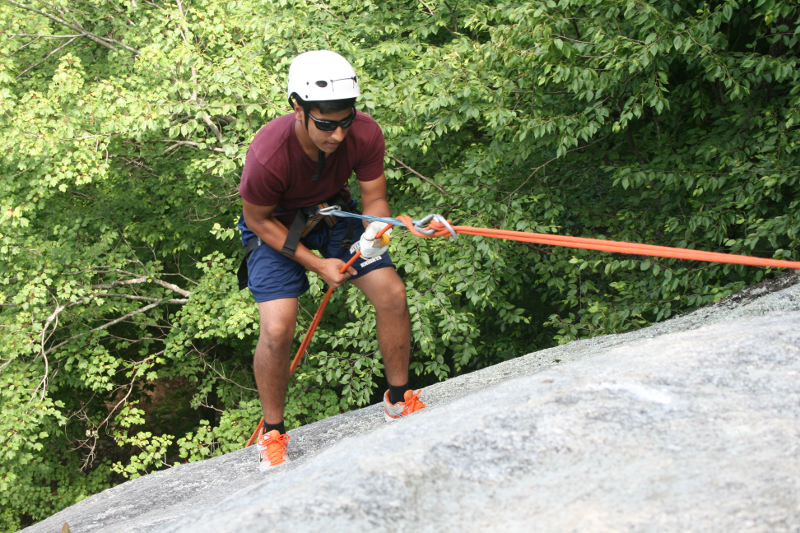 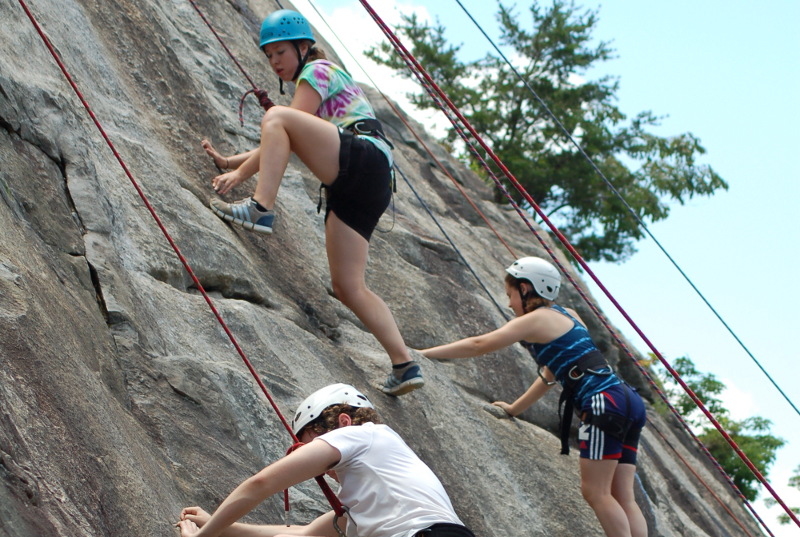 Our adventure-learning approach to training leadership starts by teaching you basic rock climbing skills on our ropes course and builds toward a capstone adventure: hiking, climbing and rappelling at Mt. 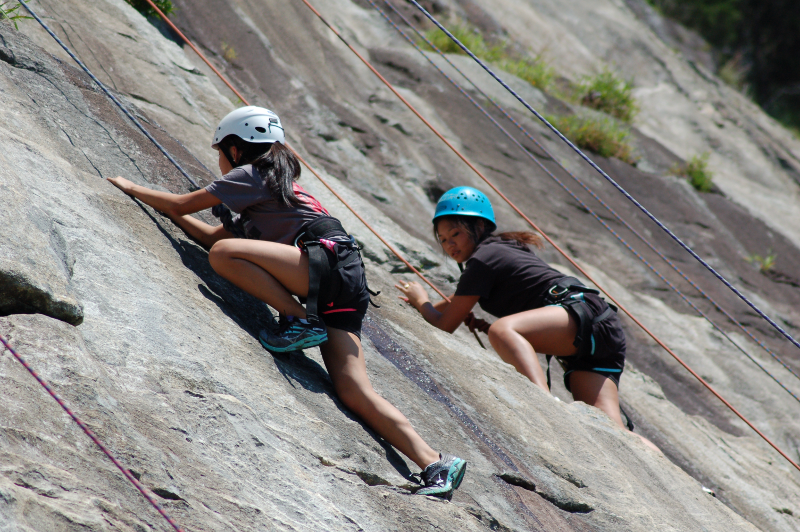 Yonah. 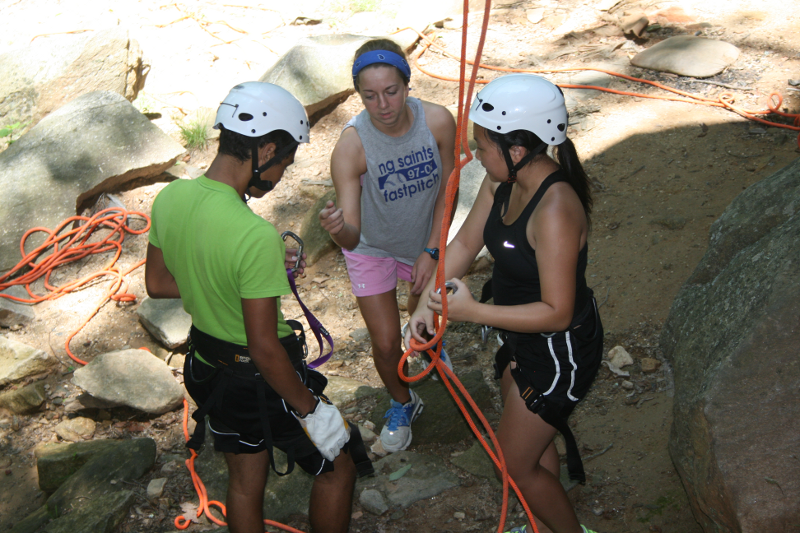 Along the way, you will overcome obstacles with your team and learn how to work together for maximum safety - and maximum fun!